How to figure out if a stock is worth buying? This analysis is always important to make good profits from the stock market. There are many underlying aspects which make one stock worthy while other not worthy enough to invest. Study the company: It is always thefirst thing to be done before investment. Study the company profile, its current holdings, future projections, and stability. Also, make sure that the company is not said to be going under loss in recent times as you may end up losing your money. Even a study of company’s past revenues and loss information would be quite helpful in the analysis. Study about its product and competitors: Study the viability of the product, its market response. This would give an idea about future performance to some extent, at least it could indicate a warning if the product is going to be phased out or any upcoming shocker in the industry. It is also important to study the competitors to know the market share of the company’s product. 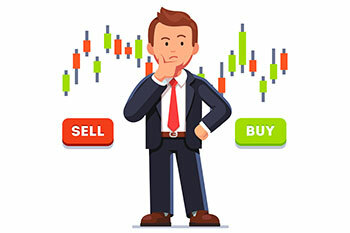 Price of the stock: Analyze the price, especially with the historical price of the stock so as to be assured that you are getting a good value while buying it. Some companies split share at one point while others don’t, thus, keeping the price of a single share high. Revenue Growth: Revenue of a company plays an important role. As the revenue of the company increases, the price of the share automatically increases and so does the profit. Analyze the revenue quarter wise, where it would be easy to identify the trend of the stock. Earnings per share: Earnings per share can be calculated by dividing the net profit of the company per quarter by the total number of shares it holds. The resultant earnings per share could be used to evaluate the profits which could be earned on the shares. Dividend and Dividend Yield: Many companies return a portion of their earnings to the shareholders in the form of the dividend. This dividend is an additional amount which could be earned on the shares, the higher the dividend the higher the profit. So, it is better to identify the stocks of companies which pay higher dividends. Market Capitalization: The market capitalization is the value of all its shares. Here, one has to see the diversification and large market capitalization which could remain less affected by small shockers. This makes the stock less volatile and hence, bears fewer risks. Historical Prices: Go through the price history of the stock if you are going to invest for a long term. Looking at the history would give you an insight into the company’s capabilities to cope up with the rough patches if it comes. Although historical reports might not guarantee of the future endeavours,it can be used as a minimum illustrative. Analyst Reports: One could even go through several analyst reports which are published from time to time mentioning about the “Buy” and “Sell” stocks. But again, one must not rely on a single report and should go through several of them for a better judgment. Major Economic Indicators: Every company is impacted by the economy of the country and the sector of the company. The economy of the country plays a key role in the financial health and share performance of a company. Government laws, bills and other amendments have direct and indirect effects on the company’s performance. Although the economy and the stock market are different entities, they are linked. This makes it important to be updated on the major economic indicators prior to any investment. Investing in shares always requires proper analysis of all the aspects including market trend, economy and the stock itself to be foremost. Before investing in any stock one must make sure if it would be able to give good returns. The above criteria could be well used for that purpose.